The Fultz Quadruplets were the first identical Black quad babies born in the United States. The Fultz girls became baby celebrities, while Fred Klenner, the white doctor who delivered them into the world, exploited them for fame and money. When news of the quads began to spread nationwide, curious onlookers and media began sniffing around for photo opportunities. At the time, baby formula companies such as Gerber and PET wanted to use the quads as a means to start an ad campaign to sell their wares in the Black community. Black families didn’t buy formula during the late ’40’s, as many mothers opted to breast feed because of the high cost of baby formula. Klenner struck a deal with PET for an undisclosed amount and the Fultz Quads were well on their way to becoming stars. The quads’ starred in ads in Ebony Magazine, and they even made the cover of the publication. But all of this notoriety came with a price as Klenner used the girls for his “Vitamin C therapy” that he claimed made the girls healthy along with the PET evaporated milk formula. While Klenner reaped the financial benefits, PET Milk company gave the Fultz quads a farm, a nurse, food, and medical care. Even more shocking, when Klenner returned the girls home, he displayed them in a glass-enclosed nursery. In a follow up story reported by Ebony, the then 22-year-old sisters were ultimately adopted by the nurse PET assigned to them and her husband. They struggled with adulthood. The farm they were given was on difficult land, and Pet paid the quads just $350 a month, leaving them virtually broke. 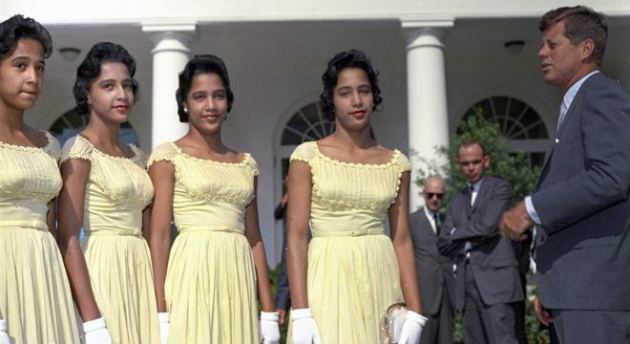 The girls became the third set of quadruplets in America to survive until adulthood. But according to Ahearn’s story, three of the sisters died of breast cancer before age 55, with Catherine Fultz Griffin believed to be the last surviving Fultz quadruplet.